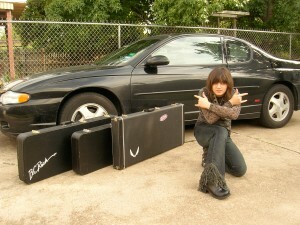 Our guest this week is Laura Cochrane. 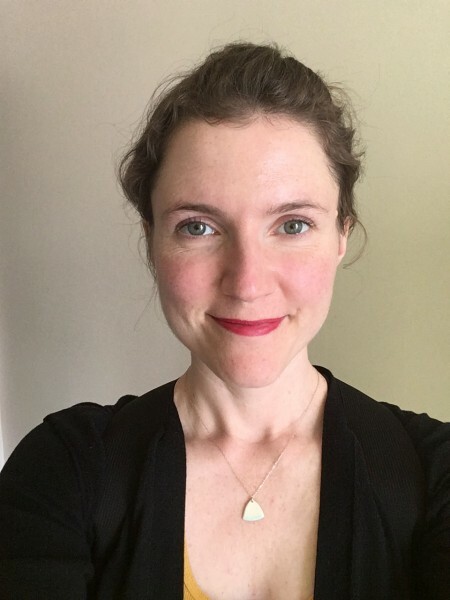 Laura Cochrane is a content strategist living in Berkeley, California. She currently works at NEO.LIFE, a biotech publication. Before that, she was an editor at two different DIY project publications: MAKE magazine, where she worked alongside Mark, and Instructables. Her hobbies include rock climbing, drawing, dancing, and yoga. A couple years ago, before a trip to Europe, I was on the hunt for a new day backpack. The JanSport I had had since high school had holes in it. I wanted something with a clean, minimal design. It’s actually a challenge to find a backpack that doesn’t have a bunch of random zip compartments, pouches, folds, mesh details, and gratuitous textures added for seemingly no reason at all. 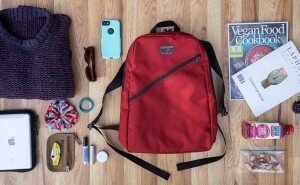 So I was excited when I found the Tom Bihn Daylight Backpack. It’s got a simple rounded trapezoid shape with a single diagonal zip that provides access to the front pocket. I got it in this really nice French blue color that looks good with most everything I wear. It also shipped fast, and as I recall there was a handwritten note thanking me for my order. It’s made in Seattle, and the quality is solid. I’ve stuffed it until it’s quite full and the seams have held up for the past two years as I’ve used it as a work commuter backpack. I’ve loved this website for a long time. It’s an online photo gallery born out of the era of peer-to-peer filesharing. It was started in 2004 when a musician named Rich Vogel was using a filesharing program to find music and instead stumbled on a folder of photos. It’s still getting updated periodically, though I’m not sure how often. The collection is thoughtfully curated, like an epic mix tape. Though I can’t always put my finger on why one photo works so well next to another that seems unrelated in every way. When I want to be reminded of how beautiful the imperfection of real life is, I go here. These photos are often the mistakes, the ones the photographer never intended. Some are blurry, poorly framed, or double exposed. People have been captured with weird expressions or unflattering angles, but that’s part of the appeal. They’re stills from the cutting room floor of life. I find humor, horror, love, and glory, in a way that feels rare. 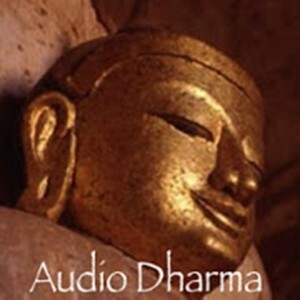 Audio Dharma is a regularly updated collection of all the talks and guided meditations given at the Insight Meditation Center in Redwood City, California. A massage therapist recommended it to me after a particularly emotional session a few years ago. I started out mostly listening to the guided meditations, but lately I’ve been more into listening to the talks. They work well for someone who is listening in short bursts, so I’ll put it on for my 15-minute work commutes in the morning and evening. In moments where I’m feeling particularly stressed or sad, these talks can have the effect of helping me change what feels like a less-than-ideal metaphorical posture: when I’m overly focused on the future or the past I have this sense of leaning forward, like my mind is two steps ahead of my body. Audio Dharma helps me realign to something closer to upright — a posture of gentle curiosity. My favorite talks are the ones where the teacher picks a simple human experience, like uncertainty, desire, grief, or generosity, and they explore it in a way that usually leaves me feeling like I have a new perspective on a very common human experience. Most of the podcasts or music I listen to feel like they fill my head with noise that requires additional processing or decompressing afterward, but this feels like the opposite. To use a computer analogy, Audio Dharma defragments my brain. 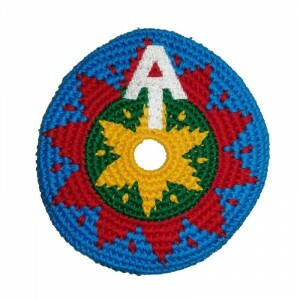 I like throwing around a frisbee, but I enjoy it even more with my crocheted frisbee. I don’t remember how I came into possession of one of these, but I love it. The main things that make it awesome are that it never hurts if someone throws it at you hard, and it folds up and can fit easily in pockets, purses, and bags. Also: it flies quite well, it can be given as a gift to people of all ages, and it’s safer to use inside the house. When I’m feeling silly, I’ve been known to flip it inside out and wear it as a hat. The only places I wouldn’t recommend it are around dogs, because I imagine they would quickly chew it to shreds, and on beaches. On the beach, the lip of the disc picks up sand when it lands on the ground, and then the next time someone catches it next, the sand gets released into the catcher’s face. I’m sure I could brush up on my crocheting skills and make myself one from scratch, but I feel like these are a good deal, for the money. They also make great gifts.